On a sunny holiday weekend, it is the perfect time to break out the barbeque grill and sail around the San Diego Bay or one of the many reservoirs surrounding San Diego. It is so relaxing to spend some quality time with the friends and family on the calm waters. Though, with about 900,000 vessels registered in California, these areas tend to get congested. What was supposed to be a boater’s paradise may turn into a nightmare when boat operators and passengers do not follow California boating regulations. Injuries and accidents happen because of this negligence. 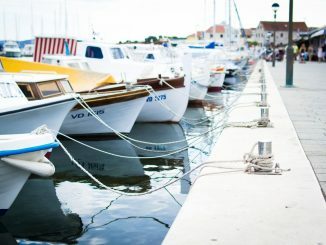 If you or a loved one has been injured in a boat accident, the San Diego boat accident lawyers can help you seek the damages you are entitled to for your injuries. Contact us to set up a free consultation.